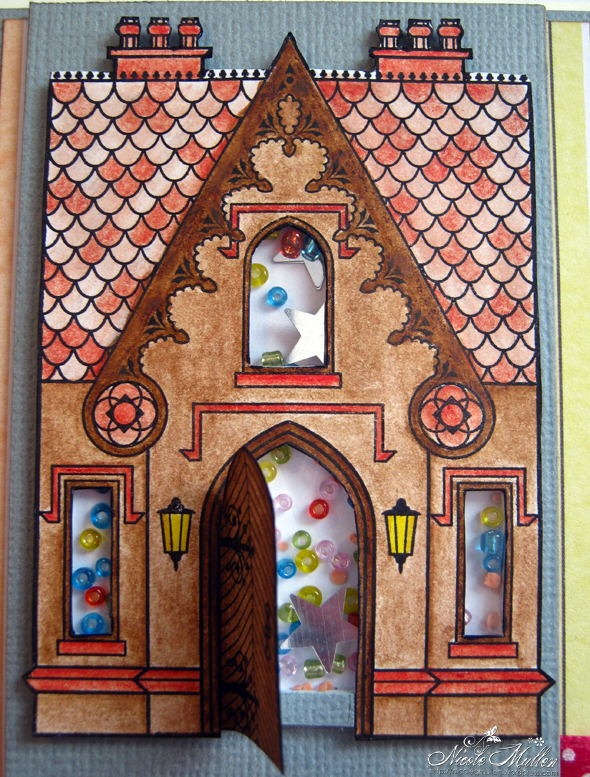 I used an adorable stamp set from Waltzing Mouse Stamps to create a super fun shaker card. The set I used is called A Cottage Home. I love this set as depending on how you colour the image it can be a general house, a christmassy house, a haunted house, the possibilities are endless!! This technique is very easy but looks great…. 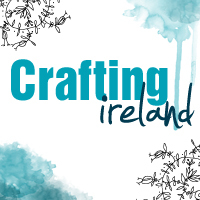 Step 1 – Colour your image as you like. I used Inktense pencils on mine. Cut it out. 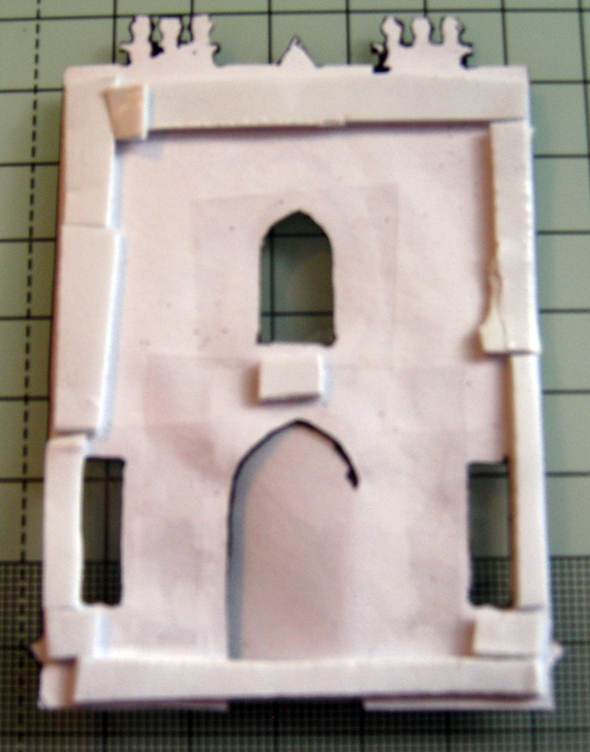 Step 2 – Using a craft knife cut out the windows. Partially cut out the door so that it opens. 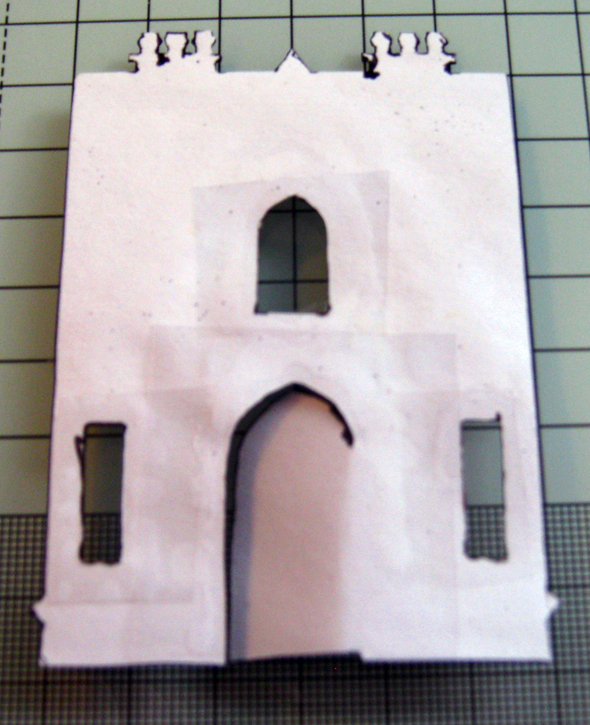 Step 3 – Using acetate cover the windows and door opening from the back. 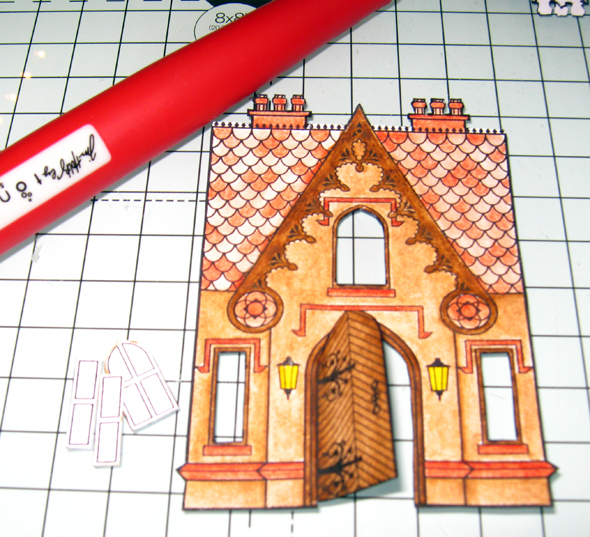 Step 4 – Using foam tape tape all around the edges of the image. You want to make sure there are no gaps in the foam pieces, you need to create a full seal. Mine doesn’t look pretty but it does the job! 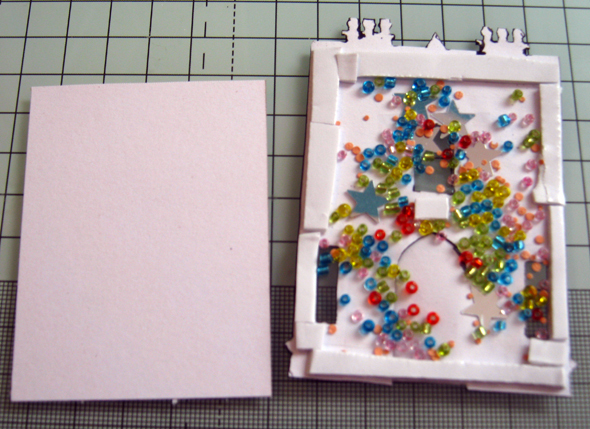 Step 5 – Fill with beads, sequins or confetti. Make sure whatever you fill it with is not any taller than your foam wall. Cut a piece of backing paper to the size of your foam wall. 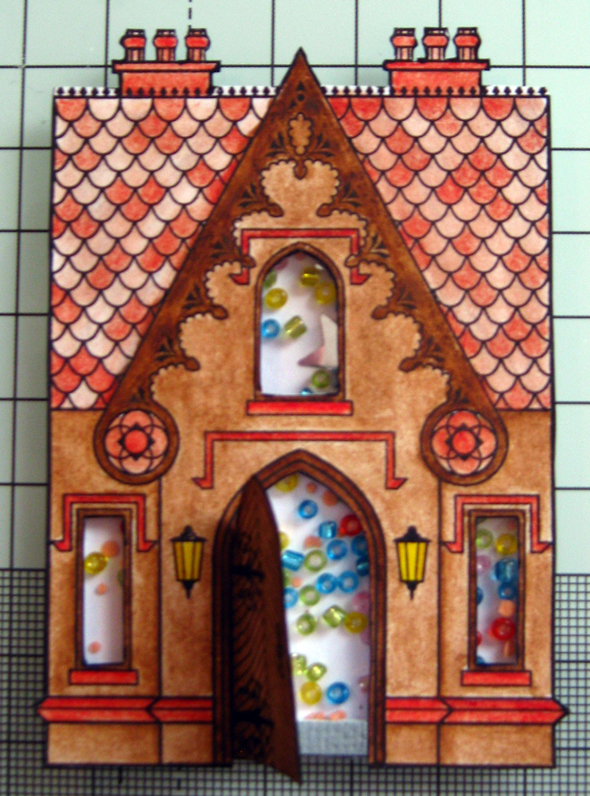 This will be the back of the house and keep all the beads in place. Step 6 – Admire your house! Step 7 – Prepare your card base. 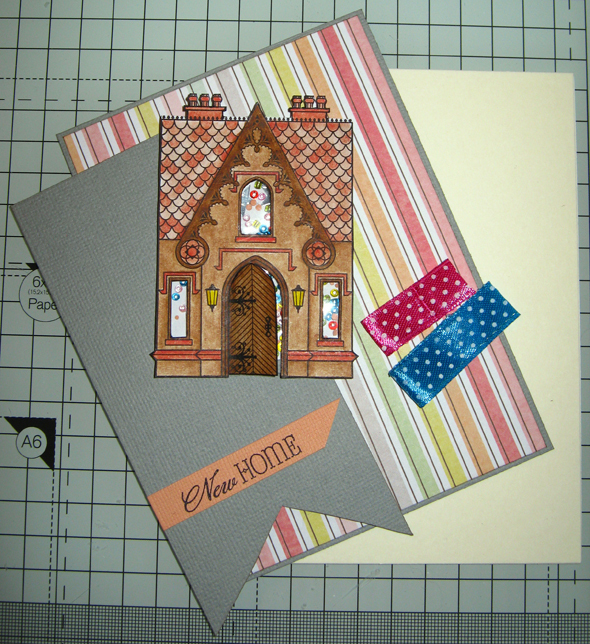 I used a fun mix of pink, yellow, grey and orange striped DP and matted this onto grey card. 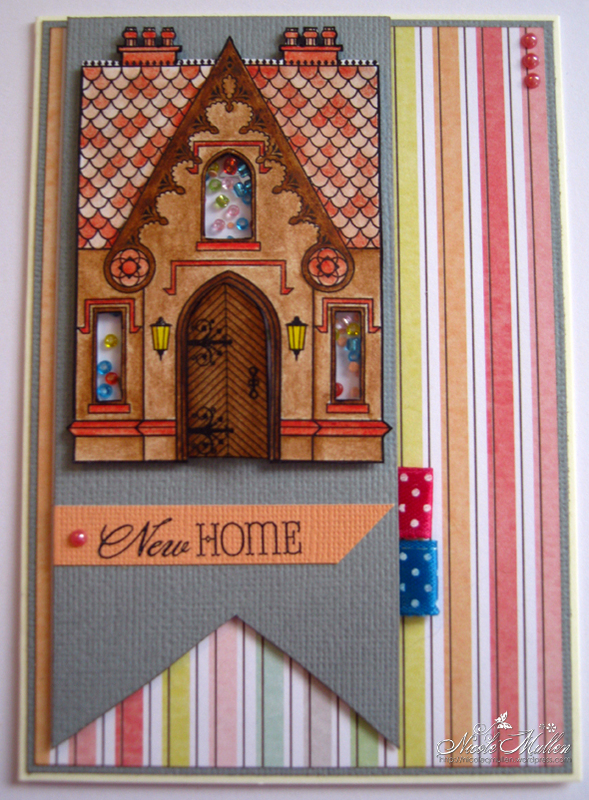 I then created a grey card banner to mount the house on. I created some ribbon loops with some fun polkadot ribbon. I also added a sentiment on a strip of pink paper. 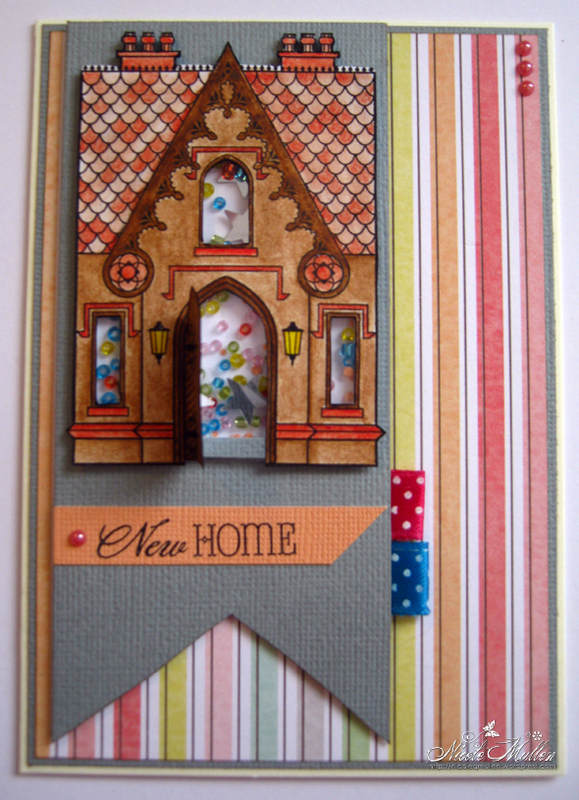 Step 8 – The finished card….Front door closed over…. 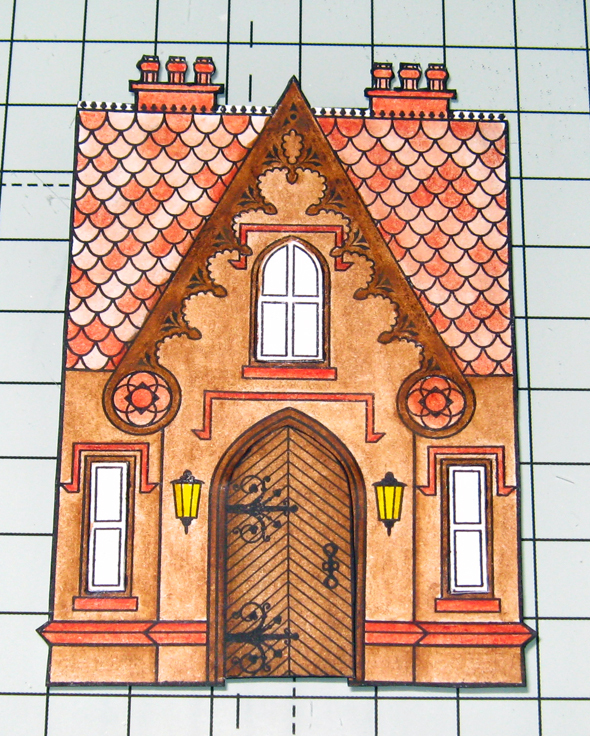 And a close up of the house again…. This is such a fun way to get more out of your stamps! Fantastic – love the house – what a great idea!